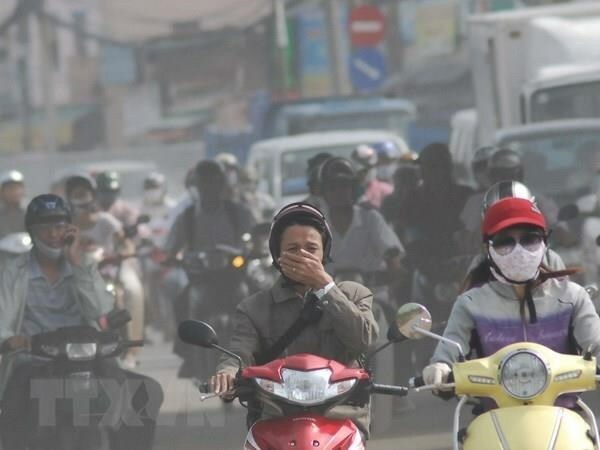 Hanoi (VNA) – The usage rights of greenhouse gas and air pollution interactions and synergies (GAINS) model has been transferred to the Departments of Natural Resources and Environment (DoNREs) of Hanoi, Bac Ninh, and Hung Yen. This is part of activities within the framework of the cooperation project on scientific support in pollution management in Hanoi between the Vietnam Academy of Science and Technology (VAST) and the International Institute for Applied Systems Analysis (IIASA). Associate Professor Nguyen Quang Trung Ph.D, Director of the Centre for Training, Consultancy and Technology Transfer under VAST, said the project aims to contribute to efforts in alleviating air pollution in Hanoi and other northern localities through the application of the GAINS model – a support tool for air quality management built by IIASA and adjusted to Vietnam’s conditions. The project has completed all basic set goals thanks to support from a number of Vietnamese and foreign agencies, especially in the coordination of personal training for the DoNREs. To increase the practicality of the project, the centre and IIASA handed over the research results and usage rights of the model, as well as instruction documents to the DoNREs of all three localities. At the handover ceremony, research results related to the GAINS model and its application in managing air quality were introduced.